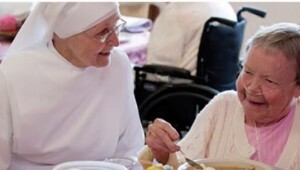 If there ever was a case of religious freedom under attack, it is the case of the Little Sisters of the Poor, a chaste religious order that is required by Obamacare to provide birth control, which the nuns say is against their religious beliefs. The sisters lost their court battle in July, but, now, the U.S. Supreme Court has agreed to hear their plea. At the crux of this case is whether an employer, in this case, the Little Sisters of the Poor, is required to provide access to birth control or pay steep fines, which could prevent the organization from executing on their mission. Currently, there is a process by which employees can get birth control; however, organizations like the Little Sisters of the Poor say that this process still makes them complicit in providing birth control. In addition to this Colorado-based organization, there are groups in Maryland, New Mexico, Oklahoma, Pennsylvania, Texas, and Washington, D.C. also seeking relief from the highest court in the land. The U.S. Supreme Court will hear the case in March 2016.